Surf City Garage Black Edge Spray Wax - 24 oz. Your car makes a statement. So you need a wax that makes one too: Black Edge. Fact is, black and dark paint are different. They demand the opportunity to shine. Which is exactly why you need Black Edge Spray Wax. 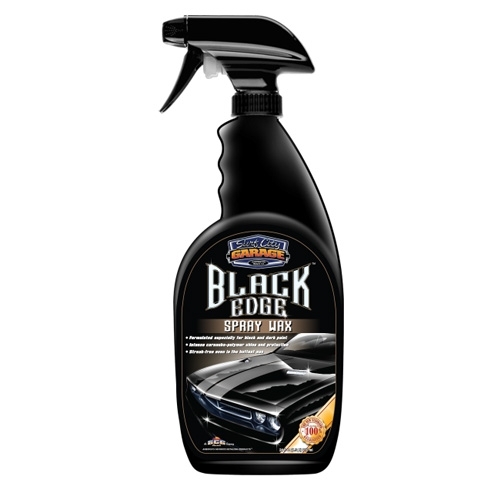 Formulated especially for black and dark paint, Black Edge Spray Wax leaves a sleek carnauba-polymer finish for an intense shine. Nothing goes on easier or faster, while powerfully protecting against UV rays and elements. 100% safe on clear coats. Never builds up and always streak-free even in the hottest sun. Make YOUR statement with Black Edge. Mothers California Gold Spray Wax - 24 oz.